I read this article and found it very interesting, thought it might be something for you. 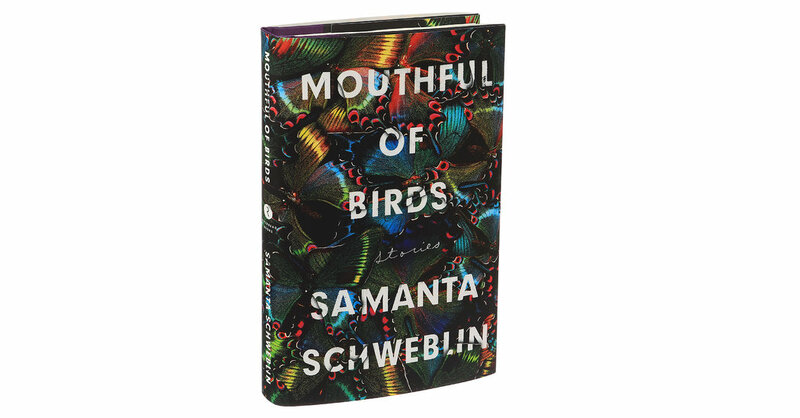 The article is called Book Review: Mouthful of Birds – Samantha Schweblin and is located at https://www.totallydublin.ie/more/print/book-review-mouthful-of-birds-samantha-schweblin/. At one point in Samantha Schweblin’s Mouthful of Birds, an artist diagnoses the affliction of contemporary society: ‘The problem with the world is that it’s in a great crisis of love.’ This proclamation could be the collection’s thesis – as characters try and fail to care for each other, they express the fullness of love’s violence. Several stories in the collection reveal themselves slowly as the reader gets to know them, almost like autonomous people. Most notable of these is the titular story, in which a man finds himself saddled with the care – and feeding – of his estranged daughter, who exclusively eats live birds. Though he claims to love her, the reader watches him struggle over exactly how much. The story lingers in the gut, “all feathers and feet,” and its brilliance is in its choice of perspective. Though the protagonist would never admit it, Schweblin allows her reader to understand that he darkly wishes for the willpower to let his daughter die. Parenting is a central thematic concern: characters either crush their children with love or starve them with a dearth of it. In ‘The Size of Things,’ an overbearing mother is invisible on a first read but, on a second, it becomes obvious that she’s been there all along, that her possible appearance is the dread force driving the story forward. These reticent tales are the high points in Mouthful of Birds. Unfortunately, some of the other stories struggle to match their strange power. In the shorter pieces, many of the punchline endings feel tired (a mysterious digger in a work of fiction, for instance, can only ever be digging one thing). And the breathless tension that makes ‘Mouthful of Birds’ so stunning is absent in some of the longer stories. It doesn’t matter what the subject of ‘The Test’ is; the reader knows that the protagonist must fail, and so the protracted violence of its plot falls short. It’s tempting to lump Schweblin in with other women whose work traffics in the unreal (this collection features children turned into butterflies and an adult aging backwards), but her stories resist that classification. Where writers of fantastical feminist fiction usually tend towards the lyrical, Schweblin’s sentences are compact and emphatically lean. In general, the urgency of her prose is translated beautifully into English by Megan McDowell, but, occasionally, one senses a shift that feels slightly off – though the stories differ tonally, on a sentence level they’re all rhythmically similar. Schweblin’s relentless style is engrossing enough to carry a reader’s attention through even the collection’s lesser pieces, and her knack for toying with reality rarely fails to entertain. However, while the opacity of certain stories is the book’s greatest strength, the collection as a whole suffers from an excess of haziness. Its final impression feels like peering into fog, trying to work out whether the silhouette of headlights will ever emerge into a discernible point (or indeed if they’ll slow down at all).